I wish this app had been available when I got married. We had an iTunes wedding. Yes, there are lots of nay-sayers out there, but it CAN be done. I think the biggest objectives are that you don't have someone to make announcements and if things run long or if events need to change you are all messed up. Well, don't let them scare you, you can be a DIY DJ and this app can help perfectly. 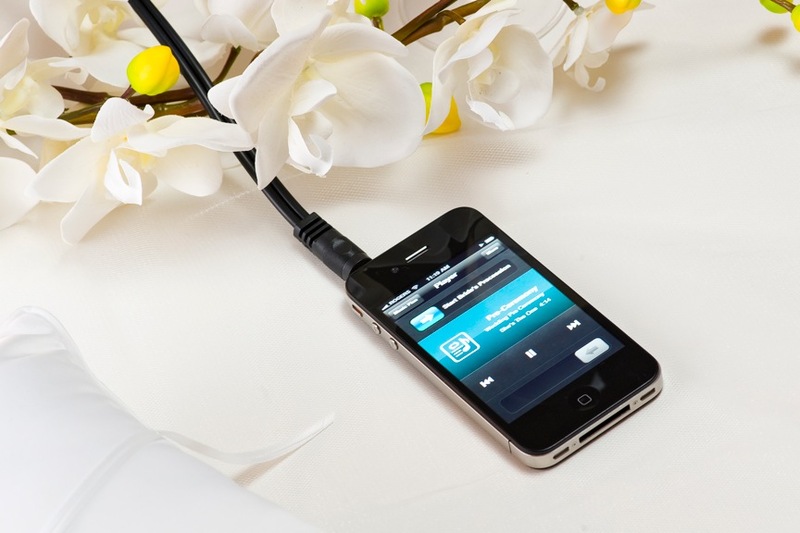 The My Wedding DJ App can be downloaded onto your iPad, iPhone or iPod Touch. There are 2 modes to it: Music Plan and Player. 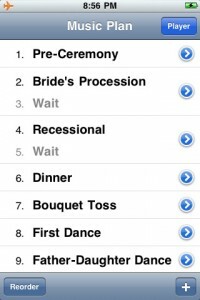 Add, edit, and arrange music for your special day using the template categories or create your own. I have a feeling this app could be used for a lot more than weddings as well. There are many features built into this app that will help you address timing issues, so that your wedding music doesn't run away from you (starting the Bouquet Toss while you are still in the buffet line). And it can be easily interrupted, repeated, put in requests, waits, etc. Like I started off saying, I know you can pull this off with a little preplanning. I rented some speakers and and mic and hooked it all up to my laptop. Then, we had 2 musically-inclined friends watch over everything and make the announcements for us. The My WeddingDJ App is available thru iTunes for $4.99. You can also find out more info here.